Location scout and Jane Austen aficionado, Kate Sharp, is thrilled when the company she works for lands the job of finding locations for a new film adaptation of Pride and Prejudice, but then her boss, Kevin, fails to return from a scouting trip to England. Afraid that Kevin has slipped back into some destructive personal habits he struggles with, Kate travels to England to salvage Kevin’s and the company’s reputation before word gets out that he is missing. 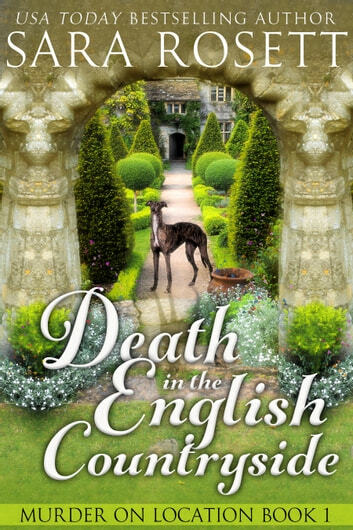 Things go from bad to worse when Kate arrives in Nether Woodsmoor, a quaint village of golden stone cottages and rolling green hills, only to find no trace of Kevin except his abandoned luggage. Even the rumpled, easygoing local scout they consulted, Alex, doesn’t know where Kevin might be. **I received a free digital copy of this book from NetGalley in return for an honest review. ** This mystery had a very cool premise. I loved the idea of a location scout as a main character. It is a new take on the cozy and not a job I have seen before. Kate is a very strong well written character. I like that she has a good head on her shoulders. I also enjoyed that she helped the police, didn't break the law or sneak around and didn't keep things to herself or withhold evidence in order to solve the crime her self. I also really liked Alex and the chemistry between them. I am very much looking forward to where this coupling will go. The mystery was well done, I figured it out about a chapter before the character, and that's because i kept thinking that was the red herring so I spent a good portion of the book talking myself out of the conclusions I had come to. So well written in that regard. A very enjoyable book with well thought out characters set in a beautiful part of the world. It was difficult to put down! 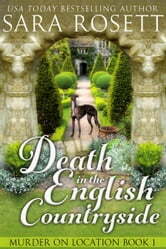 Author Sara rosett wrote a book filled with interesting characters in a beautiful location. The book was a great quick read.I have already started the next book in the series. Not a bad cozy mystery and thankfuly not too full of the usual usa author schlock of adding in romance unnecessarily but really annoying to have to go back and confirm a significant continuity error regarding the camera. Felt like 2 proofreaders switched out at the end of a chapter. An entertaining story, good plot. I enjoy reading about different places. I look forward to reading more about Kate and Alex.